So I called and asked if they had any specials, you know to get more "bang for my buck" if you will. They explained to me the special and I ordered it, I also mentioned that I would like to use the 15% coupon that they sent me in my email. The order taker asked me to hold for a moment. She came back on the phone and said "The owner says that you can't use a coupon with a special." I replied that the coupon doesn't indicate that it can't be combined with other offers. She told me my total and asked me to bring the coupon with me anyways. So, as any good customer would do - I went in to the pizza place and when I got there the order taker said "Hey (owner) this is the girl that wants to use her coupon with the special. She says the coupon doesn't mention any restrictions." So the owner says "Show me the coupon!" in a pretty mean voice. After he argued with me for a couple of minutes, he then blamed it on Constant Contact and said they must have put out the wrong coupon. Then says "You know what? FINE. Give her the discount." He was very rude and stand-offish. Now, I think we all know that it's not CC's fault. So let's talk about how this should have been handled. It was 100% the person who put out the mailing's fault. Constant Contact (or any other email service) doesn't "make" coupons for people. I know because I make them for my clients. 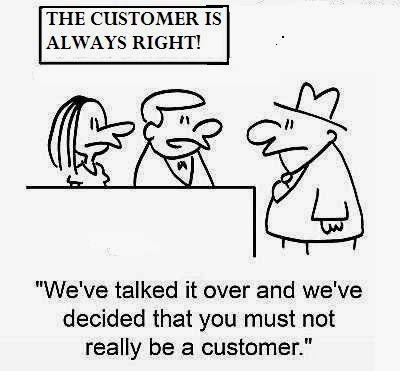 I'm not necessarily a subscriber to "the customer is always right" but I do think that their perception of a situation is right to them and it's our job to help change that perception of what happened. What should have happened was the owner should have apologized and owned up for the mistake and been glad to give me the discount. He could have then either sent out a replacement coupon to the mailing list or honored the incorrect coupon for future patrons. 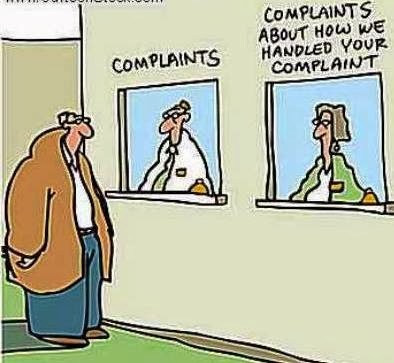 Customer Service isn't just about serving customers. It's making your customers feel welcome and ensuring they are satisfied enough to COME BACK to your establishment. Everyone is human and even (gasp!) business owners make mistakes. But it's important to recognize them, apologize for them and move on instead of arguing with a customer to make them feel stupid.